The naming of Chicago West, the now week-old member of the Kardashian-West clan, was of special interest to Mellissa Chester of Seattle. 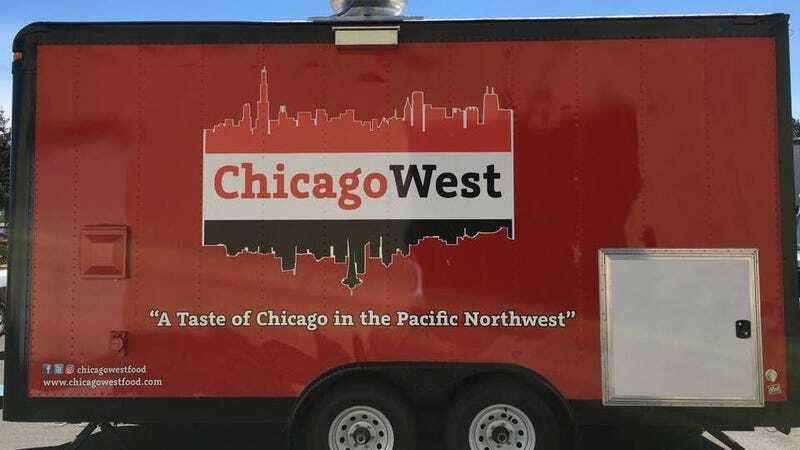 Mellissa, a fan of the Kardashians, also happens to co-own—with her husband David—a food truck named ChicagoWest. The truck serves Chicago-style food like a hot dog, cheddar-and-caramel popcorn, and Chicago beef sandwich with the tagline “bringing a taste of Chicago to the Pacific Northwest.” The Chesters are enjoying their unexpected moment in the spotlight and say they’re considering adding a baby West-inspired dish to their menu. “We wanted to add a little more kid-friendly section [to the menu] and this will most likely be the headliner in the kids’ section,” Chester says. But unlike baby West, the Chesters are not instantly rich.